The mountains around Helen GA are a very special part of the world and they offer tremendous opportunities to hike many beautiful places especially in the Spring and Fall. I have traveled to countries like New Zealand, Spain, and parts of Central America, but I still keep coming back to the Appalachains and the Chattahoochee River to hike and explore. This area is home to me. 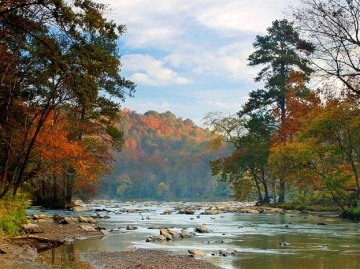 It is where my Dad would take me to learn how to fly fish for trout and how to call in wild turkeys. We spent numerous days hiking up streams and over mountains in North Georgia. I will never forget the first opportunity I had to cast a fly to trout in a mountain stream. The location we traveled to is near a place called Bent Tree. My Father had raised me fishing for bream and bass in small ponds and I was finally getting the chance to test my skills on native trout. This is the original species that fly fishing was created for. I knew there were native brook and rainbow trout in this stream so they would be quick to chase a small dry fly drifting naturally down their feeding lane. I remember my Dad pointing out the fact that there were a few greyish colored mayflies coming off the water. So we tied a size 16 Parachute Adams on the end of the leader and after a few casts I was already hooked up with my first rainbow trout on the fly. This day continued with many more fish and a great deal of knowledge poured into my young mind. 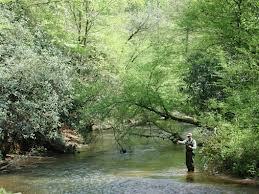 I learned about fly fishing for trout from my Dad as we hiked up the stream bed in our knee high waders. I took in the experience with all that I could. To this day I will always be grateful for the time my Father took to pass it on. 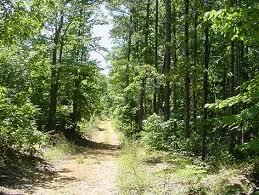 My first turkey hunt was in Dukes Creek Wildlife Management Area near the mountains of Helen. We hiked into a hardwood bottom adjacent to a small stream. It was just before first light. I will always remember the sound of my Father's slate turkey call as he created gentle yelps imitating the tree call of a hen turkey. These sounds resonated throughout the woods and were followed shortly after by the thundering gobble of a wild turkey. I almost jumped off the ground as I was so startled by the closeness of this bird and the intensity of his response. After a few more calls back and forth the big old tom finally flew down from his roost. I steadied my Remington 20-gauge Model 870 shotgun in his direction and waited patiently for him to appear through the mountain laurel. I never knew my heart could pound so hard within my fly Fishing North Georgia chest and I tried unceasingly to keep my hands still as I shook. Finally after what seemed like an hour the tom appeared in full strut with the tips of his wing feathers slicing through the underbrush and dried leaves as he strutted. I remember my father whispering from behind me, "take your shot when you can." I knew that he would give a few short and fast clucks on his slate call to get the turkey to gobble once more for a clear shot. When he did I covered the bird's head up with the bead on the end of my barrel and squeezed the trigger. As the bird hit the ground I rushed over with excitement to check him out. My father showed me his spurs and beard. He explained that this is how one tells the age of the turkey. After conversing about the thrill of the hunt I threw the turkey over my shoulder and we hiked along the mountain stream through the oak trees. The sun beamed across the open field where we had parked the truck and I was the happiest and most confident young man you could ever see. To this day I still venture to some of these same mountains to hike, enjoy nature, and remember what I have been given. 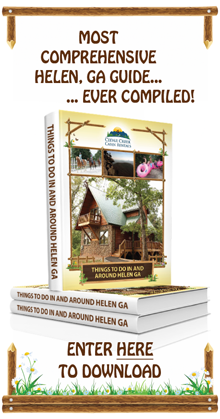 You too can create memories that will stick with you and those that you enjoy, hiking Helen GA.
Are you ready for your next adventure hiking in the mountains of the Peach State?